Rafn Co. won an ABC Excellence in Construction award for improvements at Seattle University’s Connolly Complex that included a new entry pavilion made with 140 metal cassettes set into a structural grid. Government plays a significant role in whether a company can be profitable. Developers would be wise to pay close attention to the ever-changing landscape in construction. The majority of those killed or injured in roadway work zones are motorists, not the workers themselves. Tech wizardry: What’s really behind the curtain? How people understand, apply and leverage technology does more than make a jobsite efficient and safe. It enhances the way project teams communicate, producing better planning and problem-solving, and delivering higher quality. Some organizations may need to transform their after-sales service businesses to become more customer-centric and efficient. As construction projects get more complicated, bonding issues follow suit. Increasing construction costs, a lack of subcontractor availability, a tight project footprint and a contaminated site were some of the challenges facing Rafn Co. during construction of the AMLI Wallingford apartments. The success of this project earned Rafn the Eagle of Excellence at the 2017 ABC Excellence in Construction Awards. 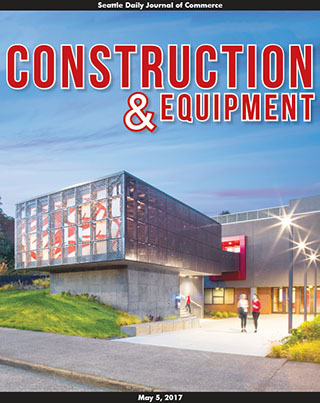 Rafn has won the top award six times in a row from the Associated Builders and Contractors of Western Washington. 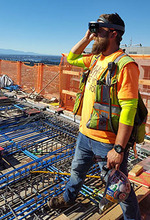 Last year, the Bellevue contractor took tops honors for another AMLI apartment project, in South Lake Union. The ABC yesterday handed out 13 category awards to seven firms during a banquet at the Renton Pavilion Event Center. 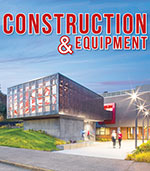 Donovan Brothers and Synergy Construction won three awards each; Rafn and SKIS Painting took home two apiece. The judges this year were John Schaufelberger of the University of Washington, J. Carter Woollen of Woollen|Studio, Bobby Thomsen of CollinsWoerman, Daniel A. Swaab of Mithun and Benjamin Minnick of the Seattle Daily Journal of Commerce.